Unlike trackpads on Windows machines How to Right-Click and Middle-Click on Windows With a Touchpad How to Right-Click and Middle-Click on Windows With a Touchpad No matter what, there's one trick you should absolutely learn: how to right-click and middle-click even when you don't have those buttons (or if they're broken). Read More , right-click functionality is enabled on a Mac’s trackpad by default. But sometimes it might go awry. Maybe you’re having issues with your trackpad MacBook Trackpad Not Working? 4 Troubleshooting Tips to Try MacBook Trackpad Not Working? 4 Troubleshooting Tips to Try Is your MacBook Pro trackpad not working? We've covered four different troubleshooting methods. Let's start with the easiest to get your trackpad working again. Read More , or perhaps you’ve accidentally disabled the setting and can’t figure out how to turn it on again. Either way, don’t panic! 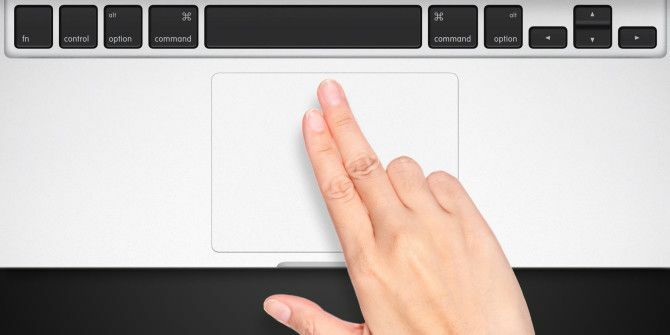 In this article, we’ll show you how to right-click on a Mac trackpad and how to tweak the settings to your liking. Click on the Apple icon in the Menu Bar. Click on the tab labeled Point and Click. Mark the checkbox next to Secondary Click. Expand the drop-down menu below Secondary Click. Choose either Click or tap with two fingers, Click in bottom right-hand corner, or Click in bottom left-hand corner. Which is your preferred method for right-clicking on Mac’s trackpad? You can let us know in the comments section below. Explore more about: Mac Feature, Touchpad.